FACT CHECK: Did Donald Trump Jr. Say 'Let California Burn' Because They Voted for Democrats? President Trump’s son purportedly proclaimed that California deserves wildfires over their political choices. Let California burn. It’s what they voted for. 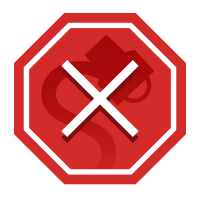 Notice no fires in red states. – Donald Trump Jr., 11/12/18, Tucker Carlson Tonight. This is not a genuine quote from Donald Trump Jr. This is a mixture of political memes & messages. We make a lot of parody posts & those are NOT meant to be taken seriously. Check for “quotations marks”. Nov. 13, 2018 – 39:35 – On Monday, Tucker Carlson investigates the election recount ongoing in Florida. Mysterious ballots appearing in close races. Then later, Tucker Carlson reacts as Democrat Kyrsten Sinema defeats Republican Martha McSally in the Arizona Senate race. Plus: Hillary Clinton might run in 2020. 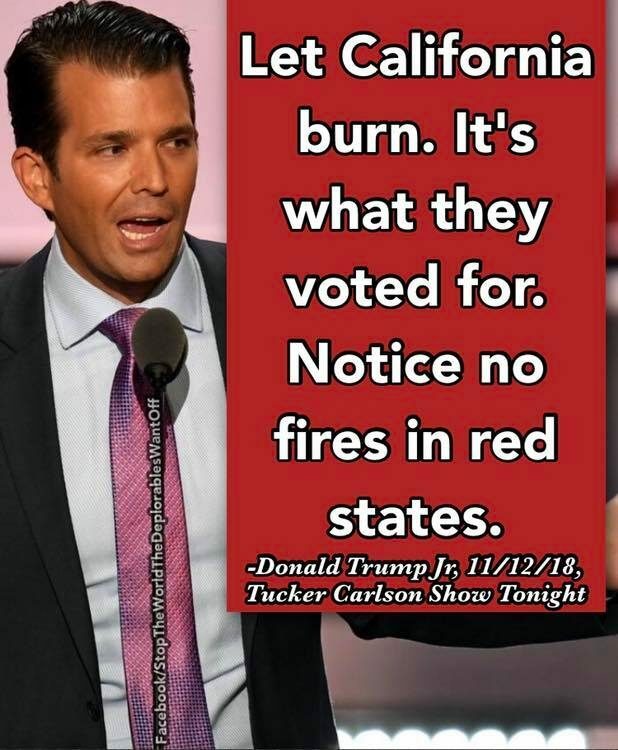 Donald Trump Jr. did not say “Let California burn. It’s what they voted for. Notice no fires in red states.” This quote was made up out of whole cloth by a parody Facebook page.